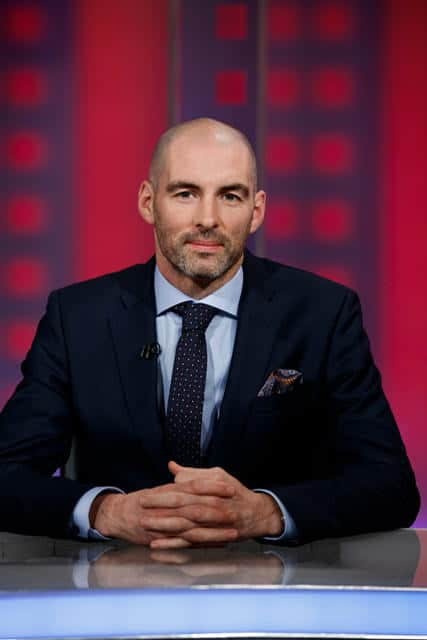 Richie Sadlier is a former professional footballer, currently working as a television pundit, psychotherapist & mental fitness teacher. Since retirement from the professional game he has also worked as a football agent, as CEO of St. Patrick’s Athletic FC, as a columnist for the Sunday Independent and as Head of Youth Recruitment at Millwall’s Academy. He is a regular contributor to the Second Captains sports podcasts and to RTE radio. Few, if any, can match Richie’s breadth of experience. His football career began with local side Broadford Rovers in Ballinteer. Richie moved on to play for Leicester Celtic and Belvedere before moving to South London, aged 17, to play for Millwall. He scored 34 goals in 103 starts for the Lions. He represented the Republic of Ireland at under 18, 19, 20, 21 and senior level, making his full debut against Russia at Lansdowne Road in February 2002. Three weeks later Richie injured his hip and never recovered, and retired in September 2003, aged 24. Richie is now an established member of the RTE Panel, having previously worked for a spell at Setanta Sports TV and BBC London Radio. He wrote a column for over nine years in the Sunday Independent, where his willingness to write openly about his own experiences set him apart. His move into the field of psychotherapy came from his own positive experiences in personal therapy. He is now a practising therapist himself, and is undertaking further training to specialise in working with adolescents. Richie devised a module in mental fitness for Transition Year students which he delivers in St Benildus College. Having worked in so many different areas of the professional game – recruitment, playing, agency, club administration, print journalism, radio co-commentary and television punditry – in addition to his experience and knowledge in the mental health sector, Richie comes with a range of valuable insights and experience. Richie is available for motivational and mental health talks. “We had the pleasure of having Richie as keynote speaker at our Sales Meeting. What made the day even more special was the content of the talk; Richie was on point and made sure the audience connected easily and was comfortable with the message portrayed. I believe that having someone local and most importantly someone that the team could relate to, made all the difference on the day.